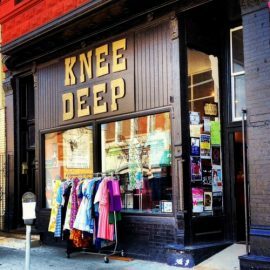 Located in the heart of Chicago's of Pilsen neighborhood, Knee Deep Vintage has the finest men's and women's vintage clothing from across the land! 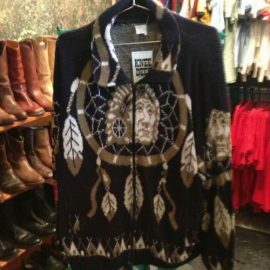 They've been stocking vintage to the south side of Chicago since 2008. Fashion forward and affordable vintage fashion, in addition to hard to find treasures from the 20's through the 1950's. You'll find plenty of accessories such as bags, shoes, and vintage jewelry as well as some housewares and vintage furniture. 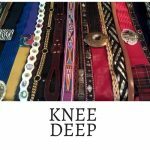 A vendor at shows like A Current Affair in LA & New York their pieces are dynamic and we are proud to have them at the Chicago Vintage Clothing & Jewelry show in February.